The official novelization of the blockbuster movie, written and directed by visionary Luc Besson (Lucy, The Fifth Element). 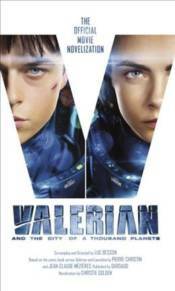 Valerian (Dane DeHaan) and Laureline (Cara Delevingne) are special operatives for the government of the human territories charged with maintaining order throughout the universe. Under directive from their Commander (Clive Owen), Valerian and Laureline embark on a mission to the breathtaking intergalactic city of Alpha, an ever-expanding metropolis comprised of thousands of different species from all four corners of the universe.